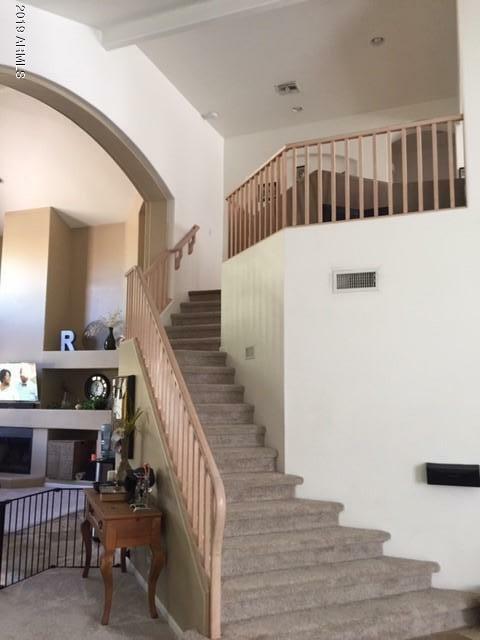 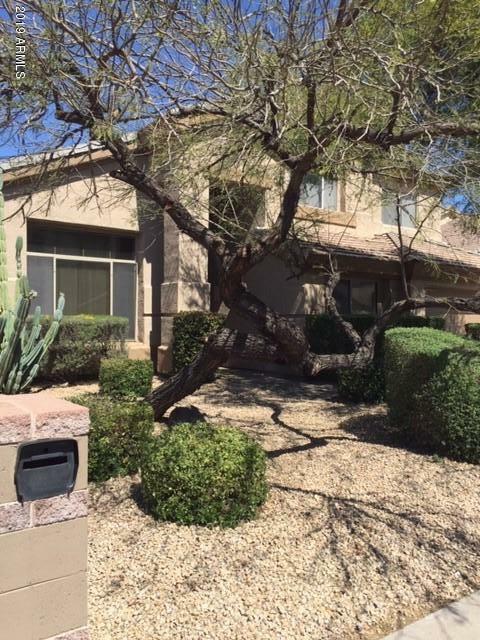 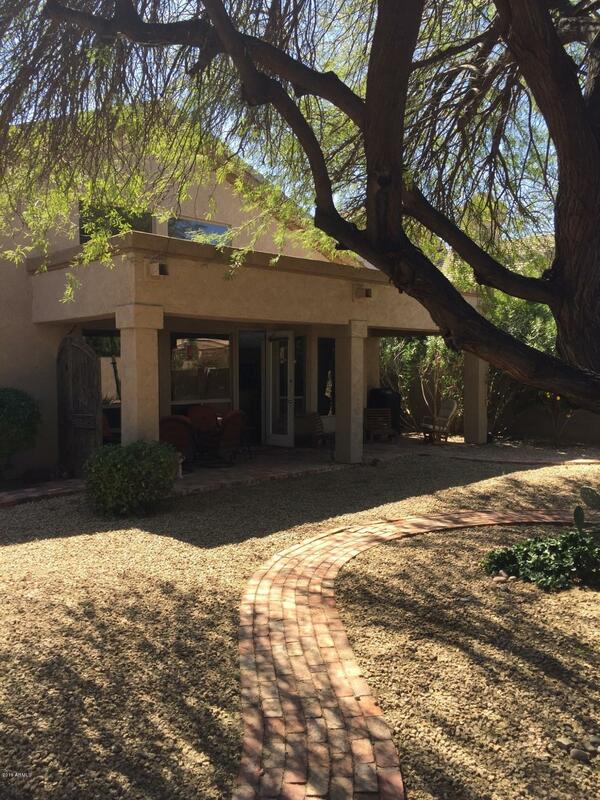 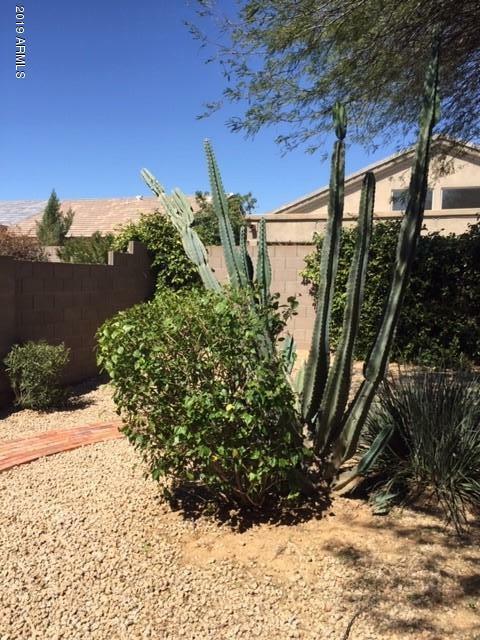 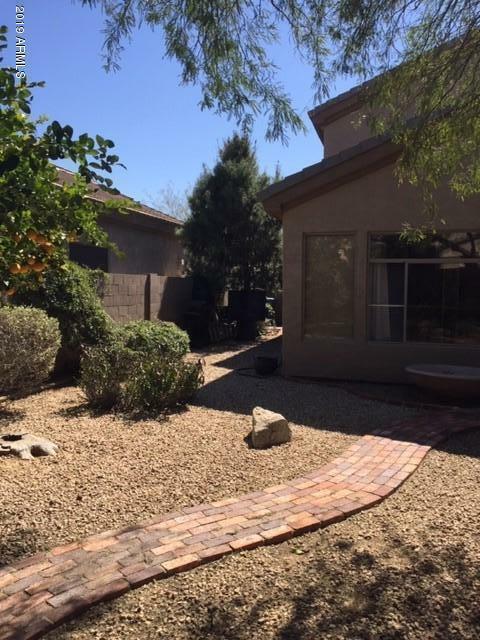 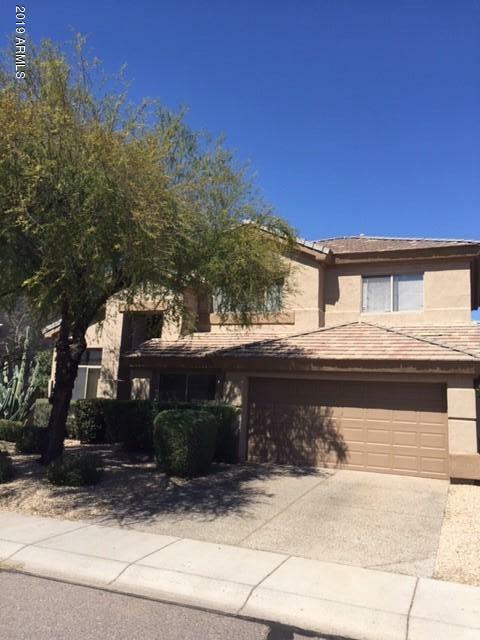 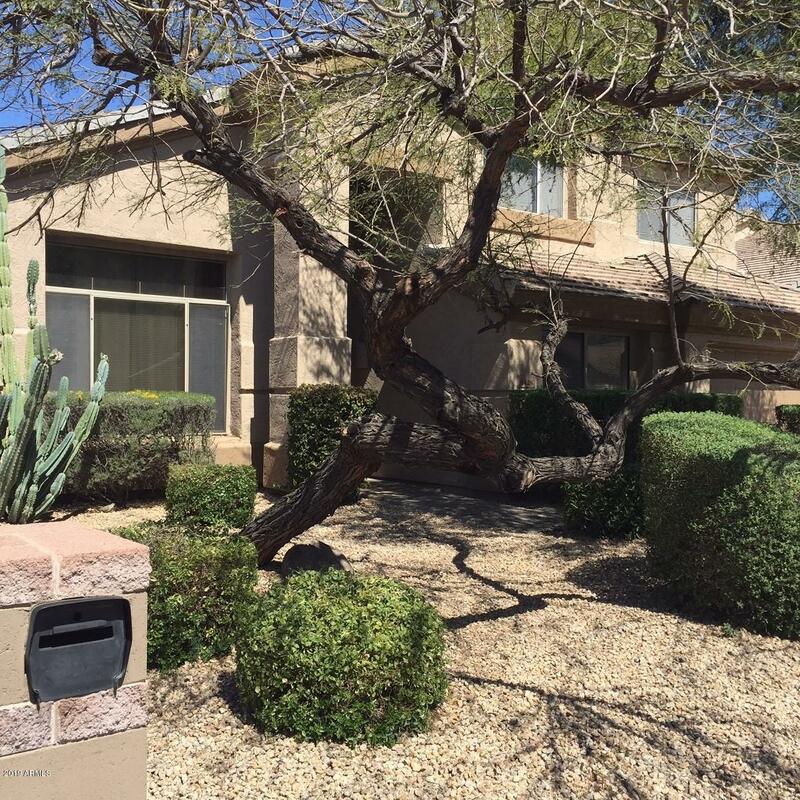 This lovely Kierland home has a beautiful lush desert landscaped back yard with large covered patio. 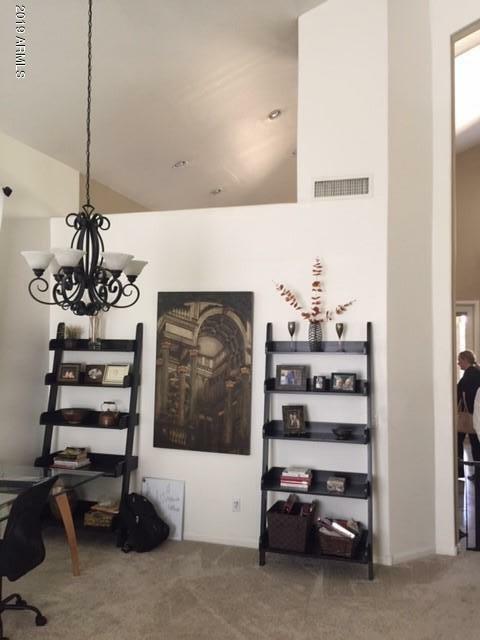 Home has open floor plan, front room can be a formal dining room. 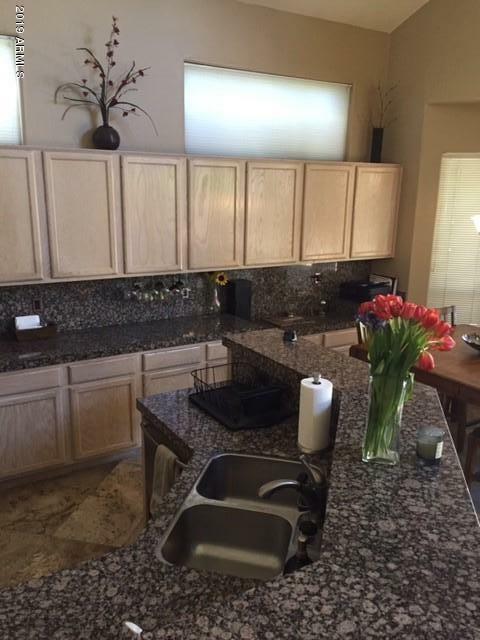 Kitchen has granite counter tops and bar, with great seating area and fireplace. 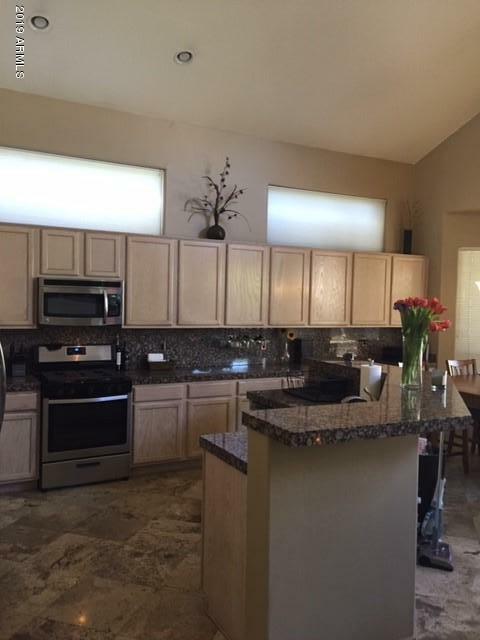 All stainless appliances with gas range. 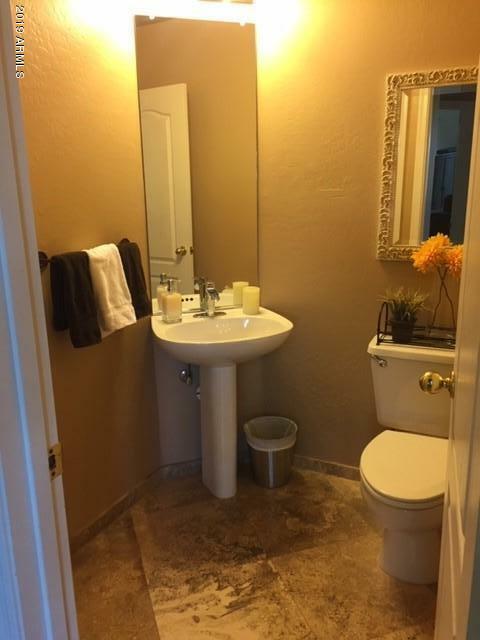 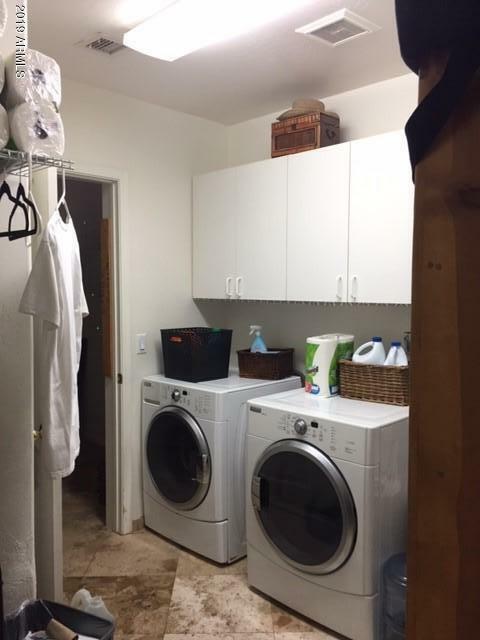 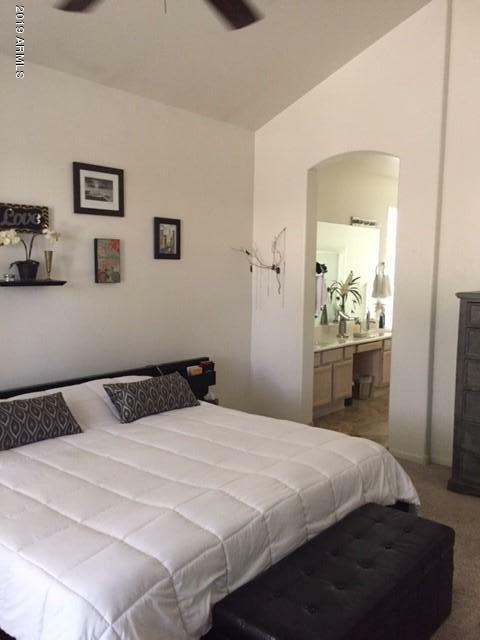 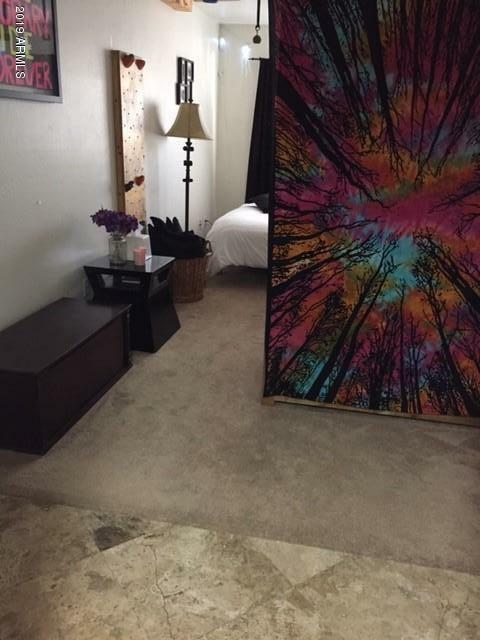 Master bedroom and bathroom are downstairs, also downstairs a powder room and a bonus room. 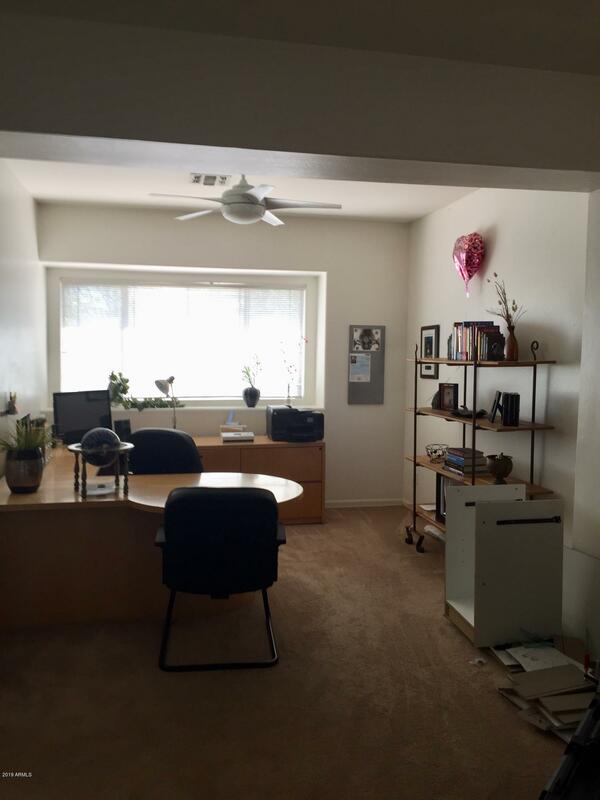 Upstairs has a large loft, currently an office. 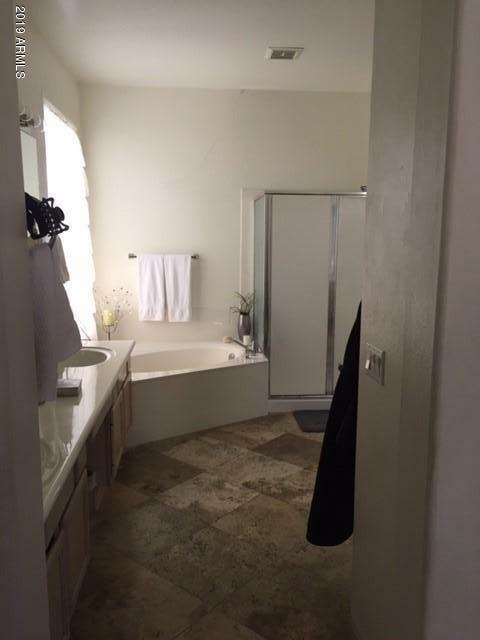 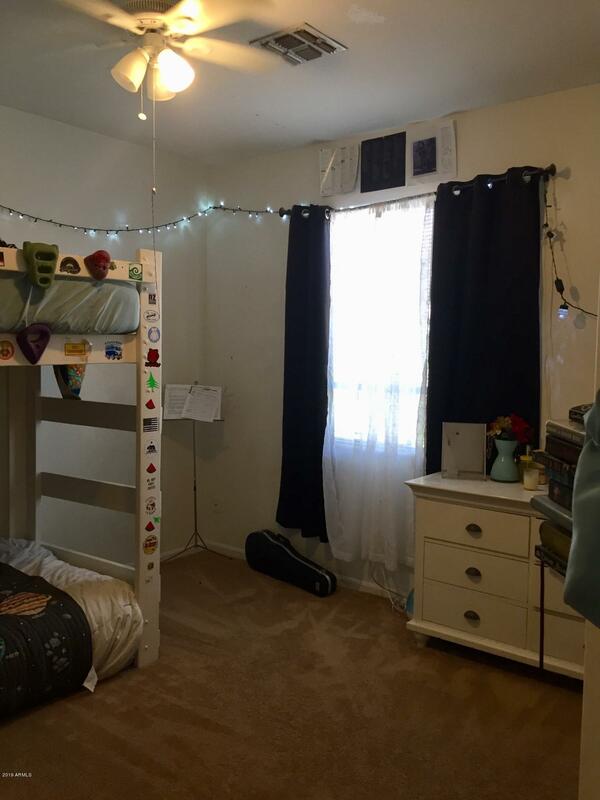 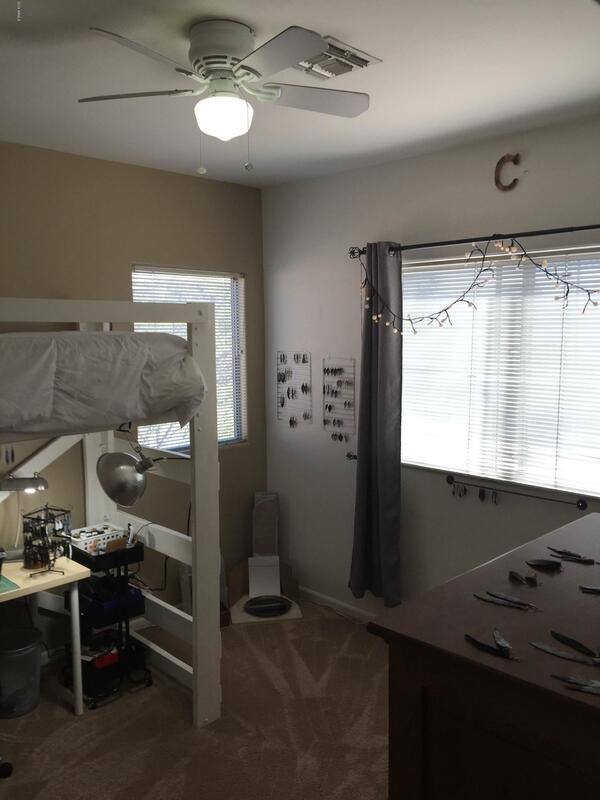 There are also two bedrooms and bathroom upstairs. 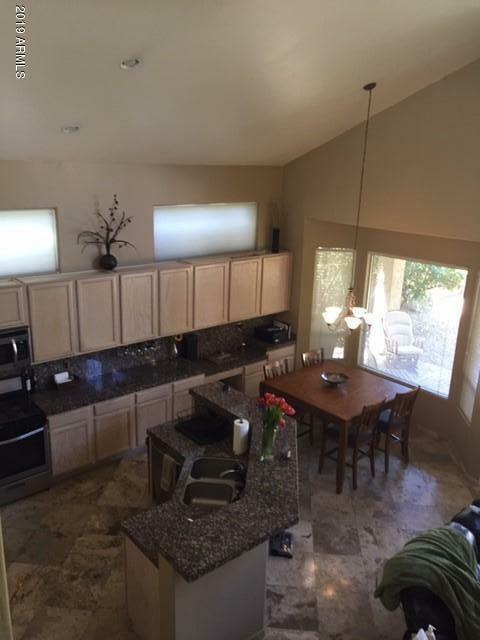 Flooring has travertine and carpet.